﻿ Industrial Security: Does Surveillance Increase Productivity? 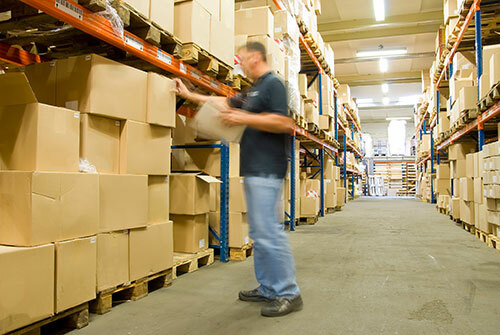 Blog Home > Inventory Management > Industrial Security: Does Surveillance Increase Productivity? How employee monitoring impact can change both misconduct and productivity. Most companies who implement surveillance programs and other security measures do it because they want to address employee related theft. In industries like warehousing, it’s a common problem, and it costs up to $15 billion in lost inventory every year. It’s been known for years that companies with excellent security measures can also expect to be more productive, but that’s always been correlation, and the two haven’t been linked by cause. That may have changed based on a recent study. “Cleaning House: The Impact of Information Technology Monitoring on Employee Theft and Productivity,” takes a look at how firm investments in technology – based employee monitoring impact both misconduct and productivity. The study makes a persuasive case that pilferage is an issue that hinges on management style more than individual ethics. The study, which was aimed at the effects of surveillance in the restaurant industry, has implications for warehousing and distribution, as many of the same factors are present — lower wage workers, high-pressure situations, and customer demands. If you’ve seen a shipping department trying to complete orders on a busy day, the parallel to it and the floor of a busy restaurant are easy to understand. According to the study, the major impact was in increased sales, not theft prevention. The theft savings were moderate — about $108 per week — but the surveillance helped the studied restaurants achieve sales growth of nearly $3,000 per week. That’s a 7% improvement. A restaurant worker essentially has two choices to increase income. If she is performance-based, she wants to provide good service so that tips are larger. By necessity, this also means increasing sales by offering drinks or desserts to customers. The restaurant benefits, as does the worker. But she may have a second agenda: theft-based income. The presence of surveillance helps push her toward increasing her performance income and reducing theft income, meaning that her tips increase, and that overall restaurant income increases while theft declines. This concept can apply to an order picking, shipping, or warehouse operation, if performance based incentives are present. Employees under pressure from surveillance are more likely to reduce dependence on theft to increase their personal income, if they can do so through incentives. Some operations utilize incentives for order picking accuracy, on-time shipments, reduced product damage, manufacturing throughput, and safety. Monitoring could help by driving away those most inclined toward theft, and pushing the remaining employees toward increasing their incomes by doing the right things, if the workers share in the increased productivity in a way that is relatable and understandable. Obviously, in the tips-driven restaurant industry, there is a more immediate and direct relationship between performance and compensation, but an industrial operation could design incentives that match that concept well enough to potentially replicate these results.